Great you have reappeared. Looking forward to tagging along again. I’m now in another skin! Love it. Looking forward to more. Merry Christmas from California! I’m excited for you that you have started this new blog and look forward to following your adventures (Whatever they may be) for 2014. Have a great New Year! I am excited to see where this new path will take you, grateful that you let us join you and I wish you a great 2014! All the best, take care! Thanks for the terrific Christmas surprise ! We are so pleased to have been invited along on your future endevours, whatever they turn out to be. You bring much joy to us all. 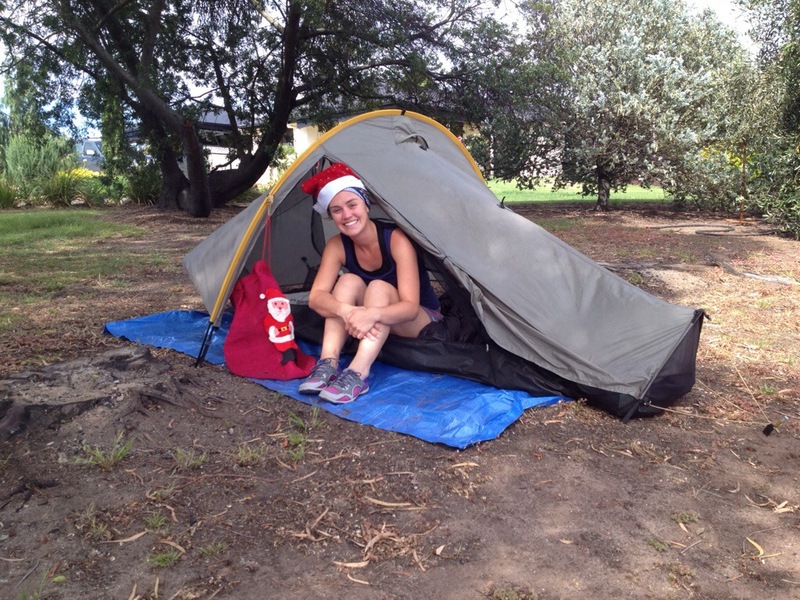 Love the happy holiday/tent photo. Merry Christmas, Rozanne, and thank you for inviting me to follow your new blog! Can’t wait to follow your next adventures. Merry Christmas from California! I am excited that you have started a new blog for your new adventures. Looking forward to keeping in touch with you in 2014! Christmas time has taken you so many places. Or should I say, you have taken yourself to incredible places at Christmas time. As I revisit this holiday post of yours… I send this reminder of another day, long ago, when a young lady used her hand to sweep ancient mouse turds from the floor of her tent. Turds from another trail, another time another contiment. She told herself to take one day at a time, one trail at a time, one “what will I title this next year “? Whatever Christmas means to you…find joy this season on the trail !